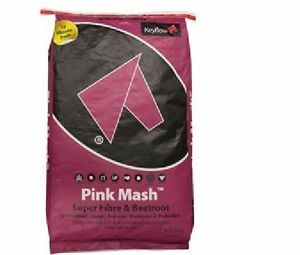 Pink Mash™ is the latest scientific innovation in soaked fibre feeding. With super-fibre, beetroot, micronised linseed, prebiotics and Protexin® probiotics, this super food nurtures and supports the hindgut health in all horses and ponies. Pink Mash™ can also be used for a partial hay/forage replacement and to restore hydration.